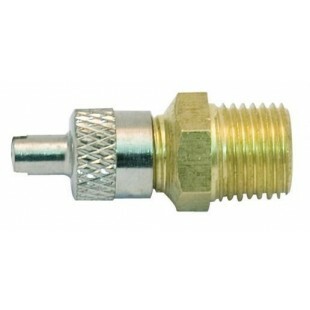 New Type 1/2” or 3/4” Stainless Steel (SS316) Cast (without welding), High Pressure Ball Valve. 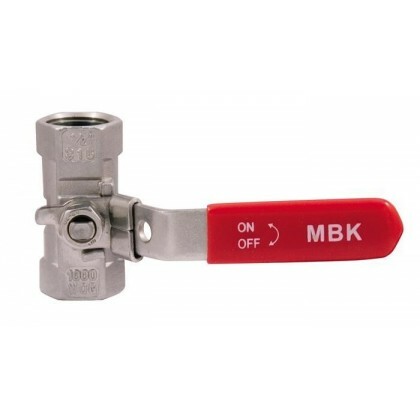 Special metallic mechanism on the handle used for the locking of the valve. 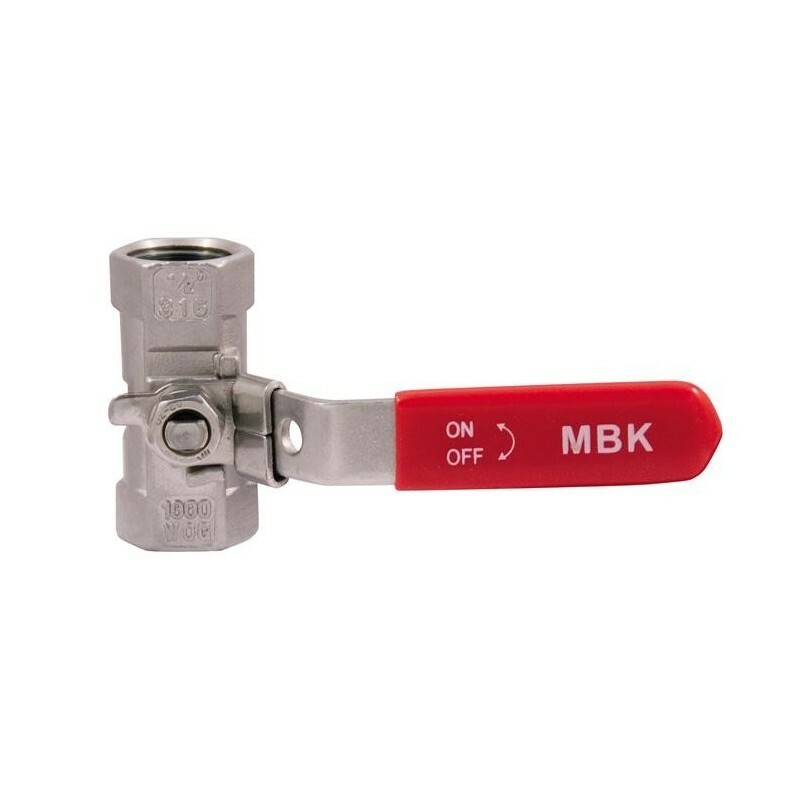 Special built-in bolt which allows the easy and fast discharge of the extinguishing agent from the fire extinguisher during the maintenance-service without screwing out the ball valve 6 - 12kg.